One of Marcel Breuer‘s two New Haven, Connecticut buildings will be preserved and converted into a hotel. When it was finished in 1969, researchers and administrators at Armstrong Rubber worked out of the company’s Pirelli Tire Building, a Brutalist structure whose office tower core is bisected by beguiling angled windows. The building—vacant since the 1990s—is now owned by IKEA and sits aside a store parking lot. 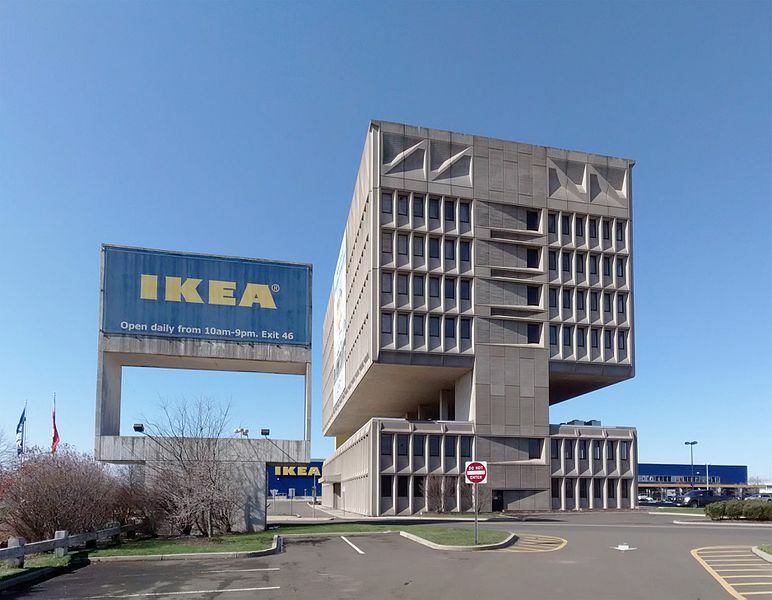 IKEA is in talks with a developer to convert the I-95-adjacent concrete building into a hotel, the New Haven Independent reported. AN IKEA spokesperson told the paper that the company hasn’t gone public with its plans for the structure yet. The conversion scheme were revealed at a meeting of the city’s development commission. Breuer’s work is enjoying a strong revival, thanks in part to renewed popular interest in Brutalism. In Atlanta, city officials are looking to revamp the Breuer-designed main library, while back in 2016, the Metropolitan Museum of Art restored the Whitney’s former home and re-christened it the Met Breuer.